It is early in that season of blind faith and believing in what seems the unbelievable. It’s time for sowing seeds. On wet, grey days I have prepped a few pots for early sowing seeds, even stuck potatoes in the boggy wet ground hardly daring to think that I might harvest something from them in months to come. But I still do it. It’s about faith. Children have this faith in bucketfuls, immune to the adult scepticism we posses they believe what they know to be truth. 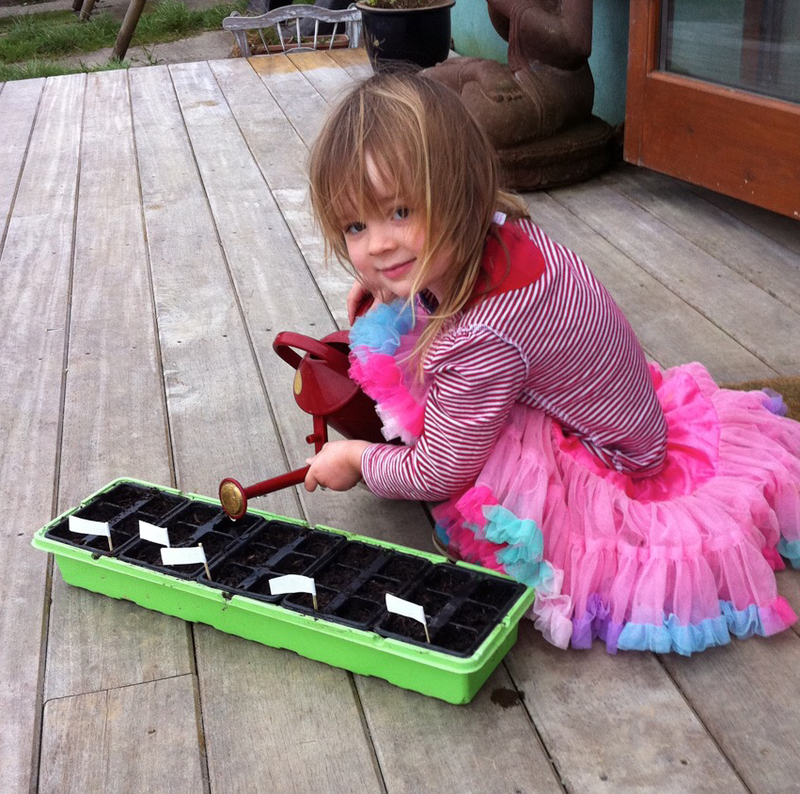 We had done plenty of sowing seeds before but when she was 6 my daughter decided to plant a pip from her apple. 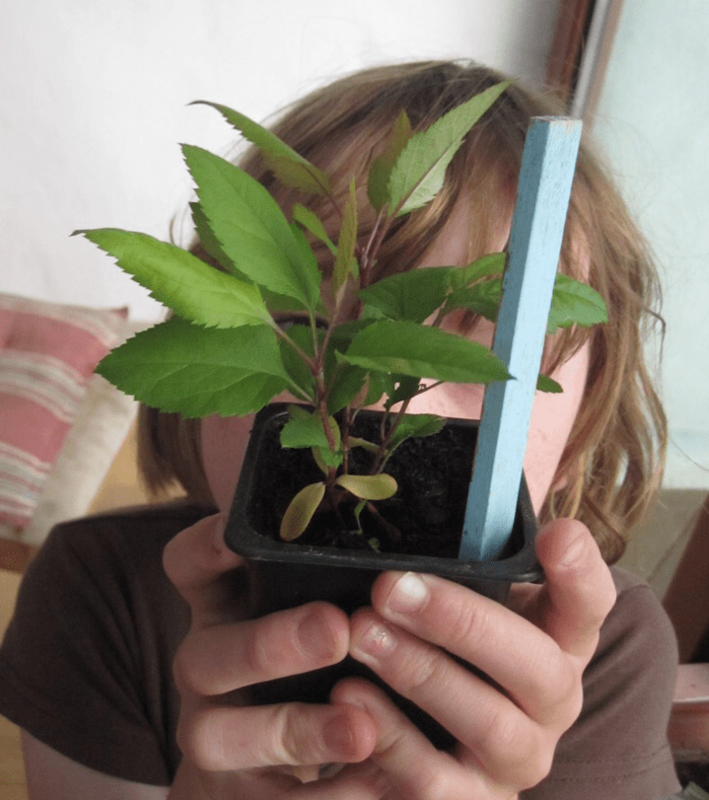 She potted it up and labelled it carefully in the sure fire belief that one day she would have an apple tree. I was caught between emotions of wanting to encourage the act of natural interest but at the same time sceptical that the seed of a shop bought apple that has probably been GM’d to within an inch of its life is not going to ever germinate, much less bare fruit. Anyway, I did my best to keep my mouth shut and facilitate the activity. With a few reminders to water it on the windowsill, to my utter surprise (and I mean incredulous) it germinated and a little seedling emerged from Tesco’s royal gala pip! She was curious but of course not half as surprised as me. She had known it would happen so it wasn’t such a big moment. She had faith that it would do that. I think of this often, not just with gardening but with lots of things. I try to encourage observation of natural wonders in my family. They are no longer the toddlers that hang on my every word. I am fast approaching that time of being the embarrassing parent! At times they get fed up with me, and raise their eyes skyward as I load up pocketfuls of shells. But sometimes they surprise me, the faith I have that they are learning and absorbing is rewarded when they skip through the school gate clutching a pine cone with a new pattern on it. Saying ‘I thought you’d like it’ whether they did it for me or not they had their eyes open enough to take time to observe it and see it for what it is. I may appear bonkers sometimes, but I hold the faith that encouraging observation skills will lead to an increased awareness of life and nature. So I carry on with my mission to find and collect natural shapes and patterns. I will continue sowing seeds of observation in the faith that others will see it too. An abridged edition of this post appears on Wildlife Watch website as a guest post. Wildlife Watch hosts many spotting guides and useful downloads in their resources section to help increase your observation skills!